How’s it going everyone? The winds are still strong over here in Japan but at least the water temperature is rising above 15 degrees these days. I went offshore fishing on 19th April in Tomogashima, Wakayama and would like to introduce affordable offshore tackle which I used during that trip. First, I’d like to introduce the Daiwa Vadel 60 MHS Power Game rod. As the name suggests it’s designed for pelagic fish weighing over 10 kg. Minimum jig weight is 90g and the maximum jig weight is 210g. This rod was light and easy with both one-pitch and long jerk jigging techniques. The tip of the rod was soft enough to allow quick response but yet extremely durable even when I used a 200g jig. 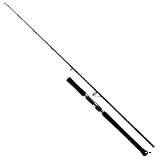 The price of this rod was less than USD 130 and it is extremely lightweight and easy to setup and dismantle. 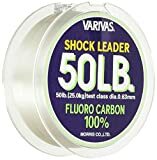 This is important especially when weather or sea conditions get rough and you need to put everything away quickly. The baton joint design allowed me to pull out the rod and tie the 2 pieces together with Daiwa’s stretchy velcro tape in less than 1 minute. 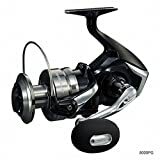 This is a rod I highly recommend for someone who is looking to get affordable saltwater rods for offshore game and who is targeting powerful game fish over 10kg.